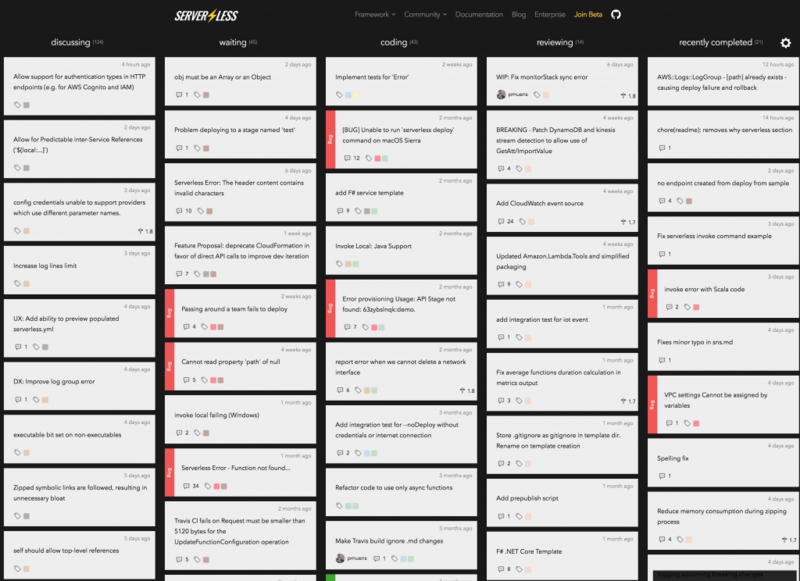 The folks behind the Serverless framework have released an open source status board aimed at helping developers keep track of their GitHub projects, called Scope. Using Trello-like streams of project cards, Scope allows users to customize columns to show the current stage of open source projects. Users can set desired labels to decide which pull requests, commits or comments need to be shown, and recently completed items can be toggled on and off, depending on whether project managers want these to be shown. 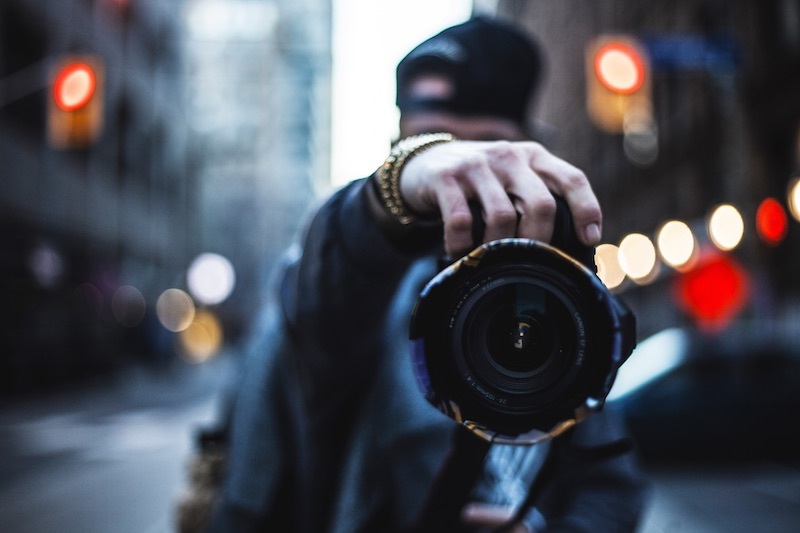 Serverless itself is using Scope to inform the community of the current status of activities related to the serverless project, as well as making it available as an open source project that can be used as a standalone app or embedded into a website. The application runs on Amazon Web Services and can be deployed using their free tier. The serverless backend must be deployed first, and then users enter the GitHub API endpoints of their open source projects, configure which columns to show in project cards, and deploy the front-end. Serverless developer David Wells writes that the tool was written because of difficulties with other options for managing and informing an open source community around priority issues, pull requests and current status of work. Wells believes Scope will help the serverless team better highlight the areas where they are seeking feedback and collaboration. Scope has an idle AWS Lambda function listening out via webhook for any GitHub updates to the open source project. Any activity triggers the Lambda function to save the POST details in DynamoDB. The status board is initially populated with all open issues once, and after that GitHub webhooks and the API Gateway events, Lambda functions are used to maintain project card status details from the DynamoDB and keep the project streams up to date, showing only the details customized in the configuration. While only released last week, the project has already been starred 140 times, and forked 7 times, as of press time. Several of those forking the repo are dev shops, like Codegram, which has created three open source projects. One is a Ruby compatible data validator that has been downloaded over 12 million times and Spinach, a behavior-driven development framework that runs on top of Gherkin, a business readable domain-specific language. This release is the latest in a series of tools that Serverless is making available to demonstrate where their platform is heading and what is possible. The company has also open sourced a blog site structure that runs using a GraphQL API which pulls together three data sources (for posts, authors and comments), stored as DynamoDB tables with one endpoint for all content. Feature image: by Justin Main, via Unsplash.